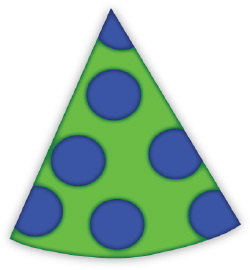 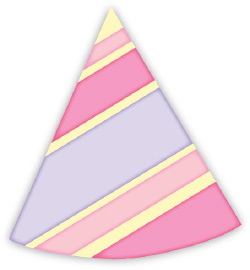 Clip art of a colorful striped party hat for a Birthday or New Years Party. 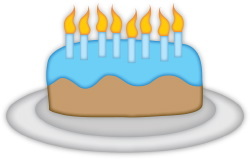 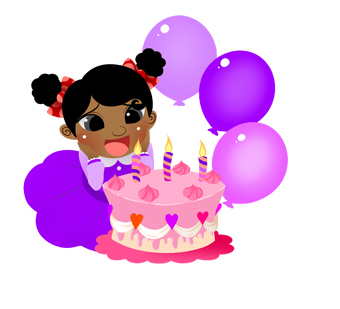 Clip art of a celebratory birthday cake topped with colorful icing and eight brightly lit candles. 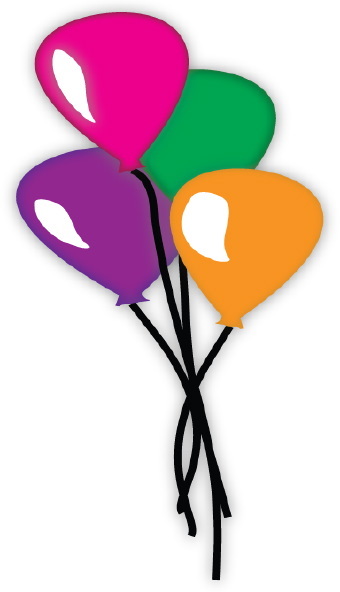 Clip art of a colorful bouquet of birthday balloons. 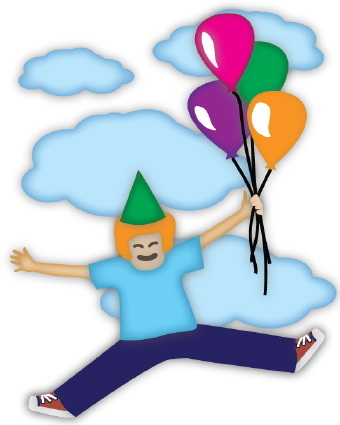 Clip art of a birthday boy wearing a green party hat holding colorful balloons jumping for joy on his birthday. 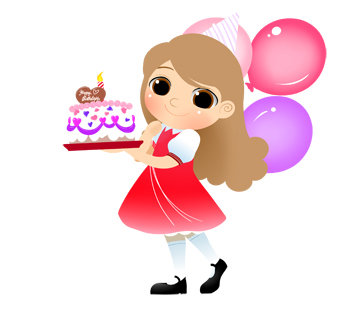 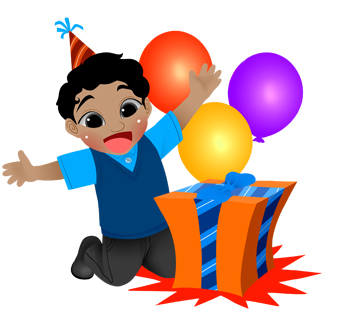 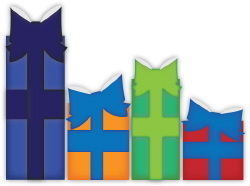 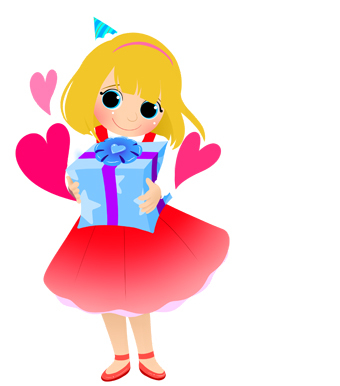 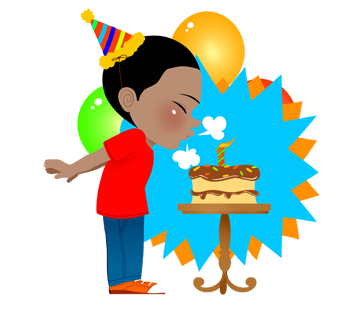 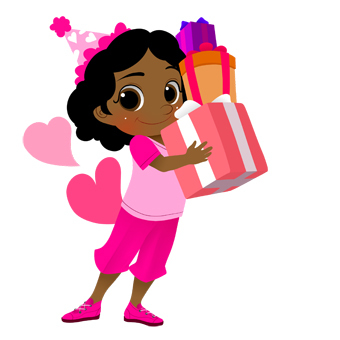 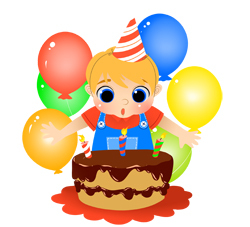 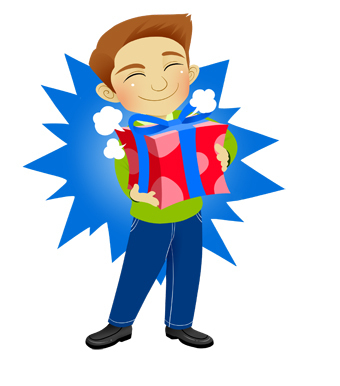 Clip art of a bright blue banner wishing a very happy birthday to a lucky birthday boy or girl.